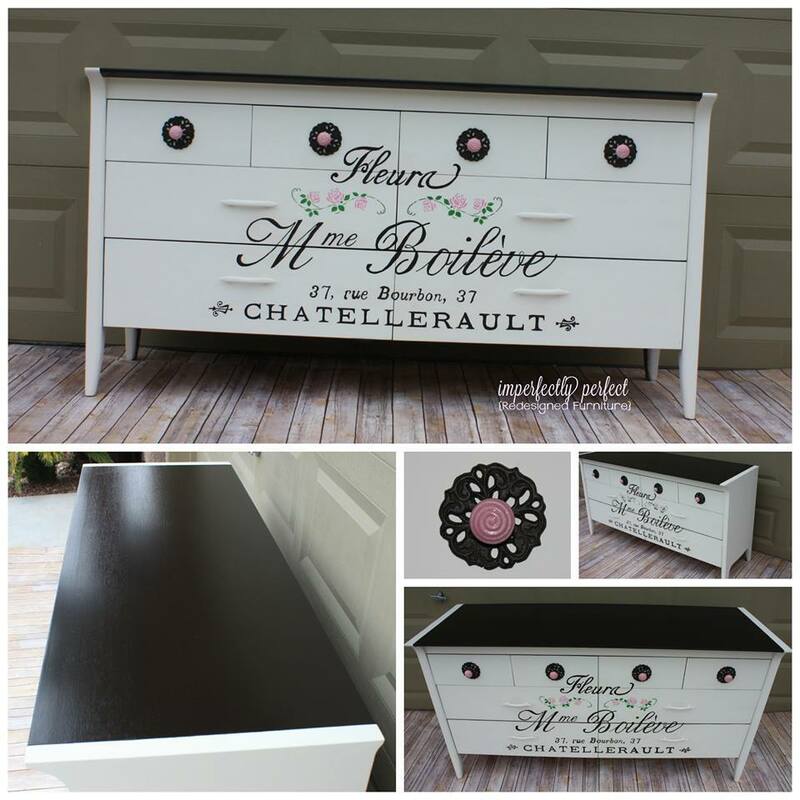 Gorgeous One-of-A-Kind Drexel Vintage Solid Wood 8-dovetail drawer dresser with beautiful hand-painted french typography! The top was stained with General Finishes one-of-a-kind Java Gel Stain by Imperfectly Perfect Redesigned Furniture﻿. This would look great in any room of your house! Check out Imperfectly Perfect Redesigned Furniture's facebook page to see more.